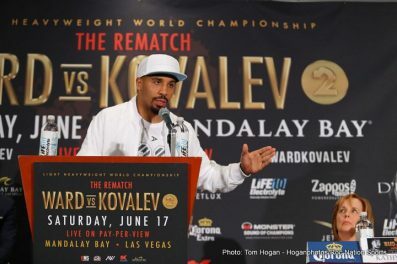 An angry Sergey Kovalev storms out of presser; round-one to Andre Ward? 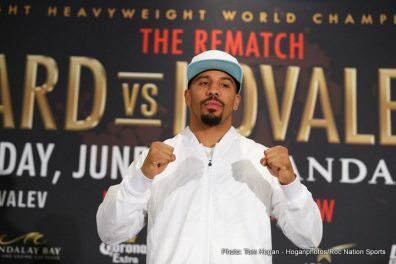 While the recently confirmed Floyd Mayweather-Conor McGregor “Super-Fight,” “Freak Show,” or whatever you choose to call it, has seemingly snatched more than its share of attention; boxing fans remain fully interested in tomorrow night’s rematch between Andre Ward and Sergey Kovalev. 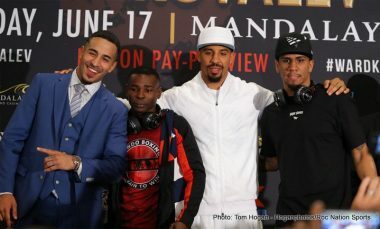 An extremely tough fight to pick (unlike Mayweather-McGregor; with the overwhelming majority picking Floyd to school the MMA star), the rematch of last year’s controversial bout won by Ward has genuinely bad blood. 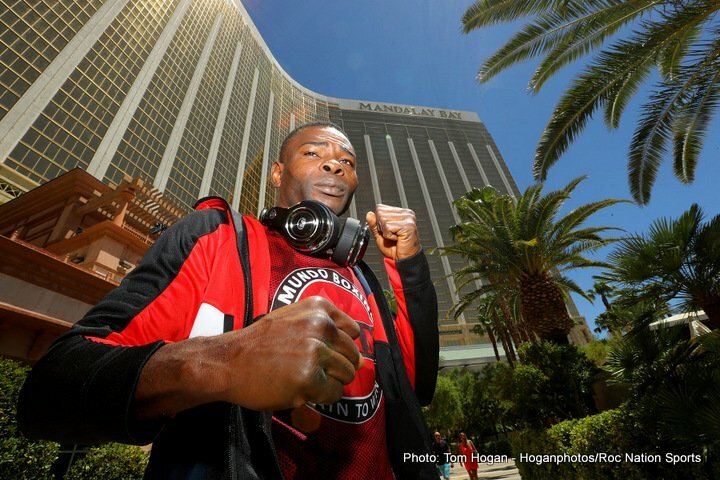 This was shown in quite stunning detail at yesterday’s final press conference for the light-heavyweight return. Kovalev, who has been smouldering for some time now, convinced as he is that he was robbed of the decision win that was rightfully his last November, suddenly could take no more. 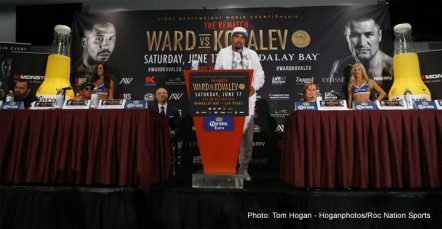 Up on the podium, the Russian warrior thanked The Mandalay Bay, then looked at Ward and told him, in no uncertain terms to “be ready,” – and then he stormed out of the room. “Where’s he going?” someone asked? “A real classy move,” a member of Team-Ward said. 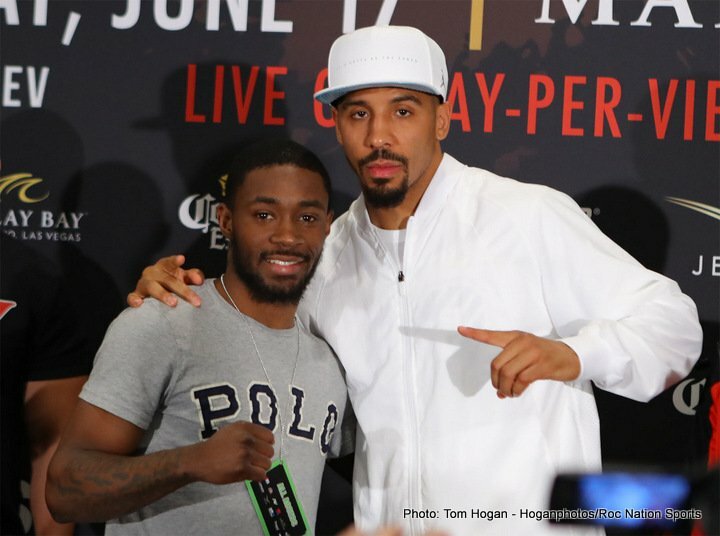 “He ain’t got no class,” Ward said. “Let’s hope he shows up,” a member of Team-Ward stated. 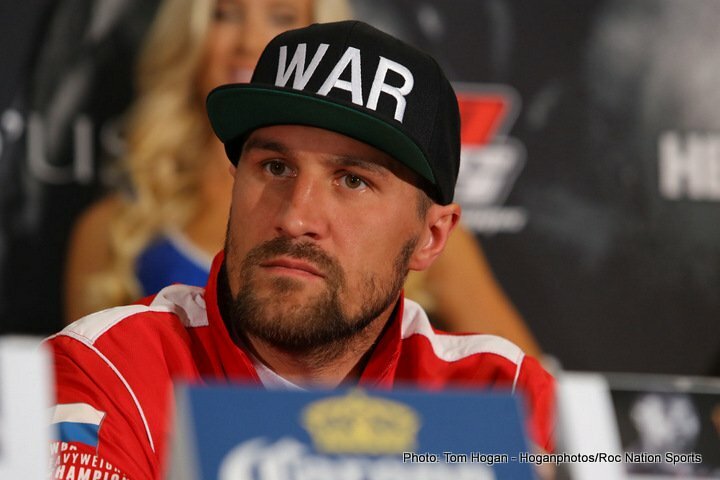 So, is Kovalev genuinely rattled, even enough for it to affect his ring performance? 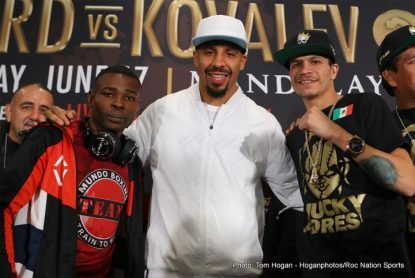 Kovalev wants a KO win so bad it hurts, can he keep his cool in the ring at he tried to get one? 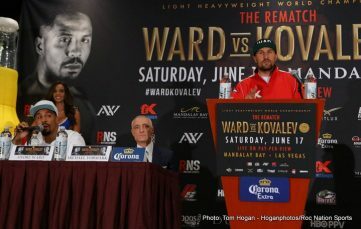 Ward has said he will be “a different Andre Ward – let’s leave it at that.” Is there an outside chance Ward, having so got Kovalev out of his mind, will look to make him pay when he makes mistakes and might Ward stun us all by being the puncher? Will Kovalev try too hard to get the stoppage, thus leaving himself vulnerable and open to counters? 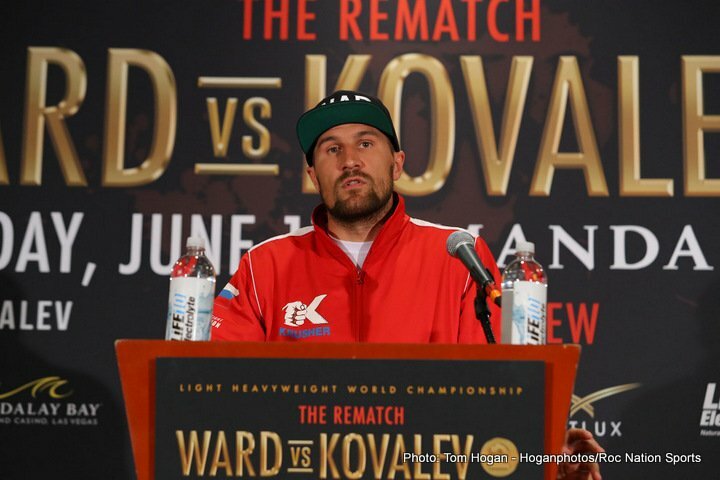 Going out on a limb, with nothing too much more than a gut feeling, Ward is my pick to win – by KO. Expect something shocking in the ring tomorrow night. Bad blood can bring it. 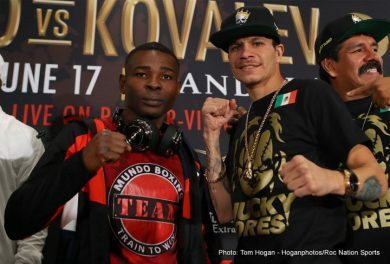 Either way, this fight is not going the distance. 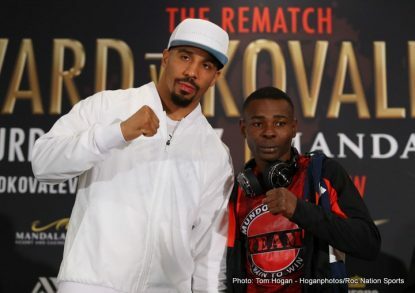 You are here: Home / Boxing News / An angry Sergey Kovalev storms out of presser; round-one to Andre Ward?